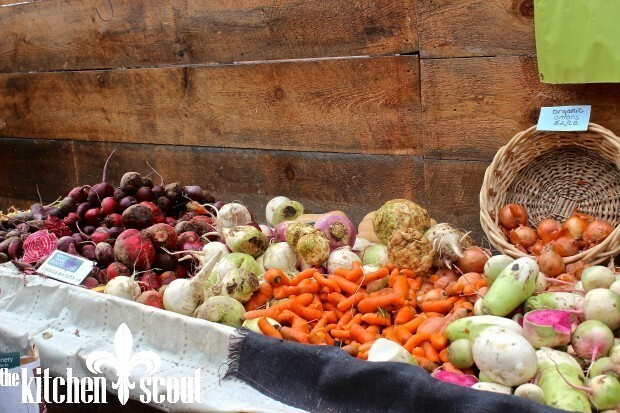 When you hear the words “Farmers’ Market”, does your mind drift to summer? Until last March, mine definitely did. 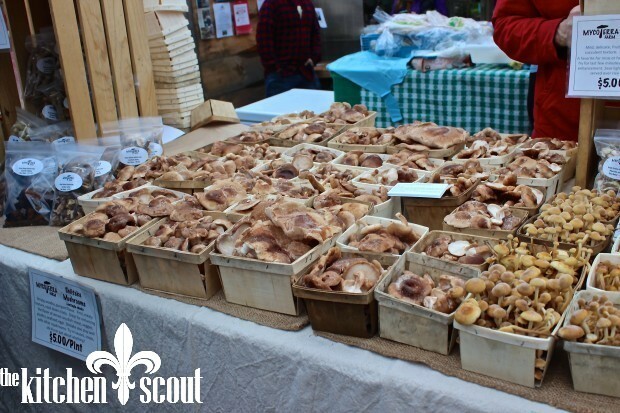 But then through the magic of social media, I discovered a Winter Farmers’ Market practically in my back yard that was in its sixth season at the time. You may recall that I wrote about this market in my post about Spicy Thai Shrimp & Baby Bok Choy Stir Fry? 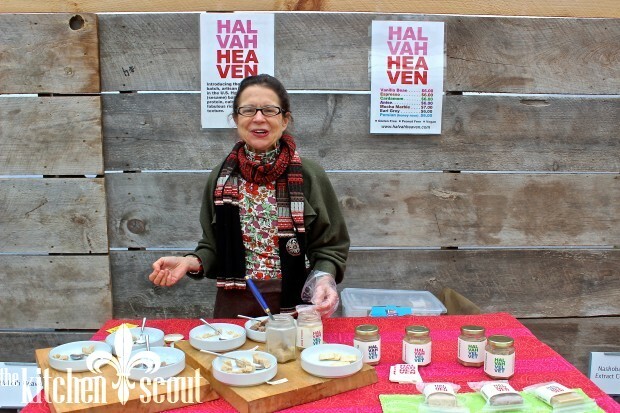 In any case, the Wayland Winter Farmers’ Market reopened on Saturday, January 9th and will continue to hold markets every Saturday through March 12. 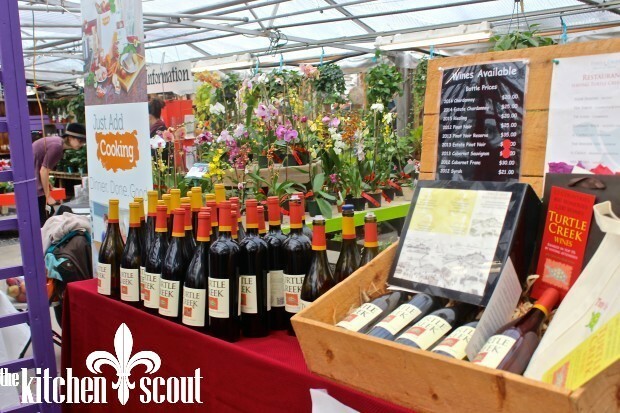 Hours are 10:00 am to 2:00 pm at Russell’s Garden Center in Wayland, Massachusetts. 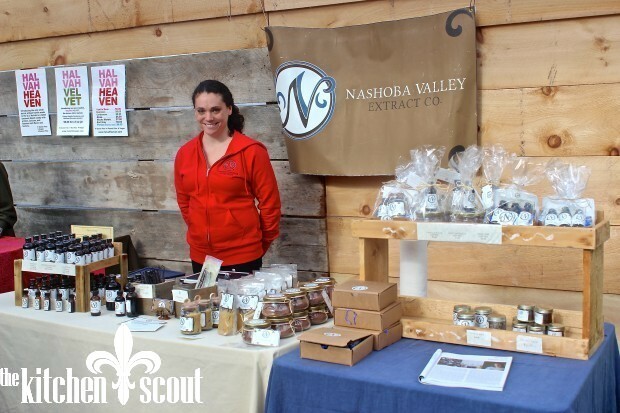 Last weekend, my daughter and I spent almost 3 hours visiting with vendors, sampling lots of delightful artisan food and beverages and purchasing an array of items that we will continue to enjoy in the coming weeks. It’s a great way to spend a few hours on a Saturday in my opinion. The environment is warm and friendly and the vendors were all so accommodating with my questions and requests for pictures. Here is a sampling of who and what you will find there. Note that some vendors rotate from week to week. 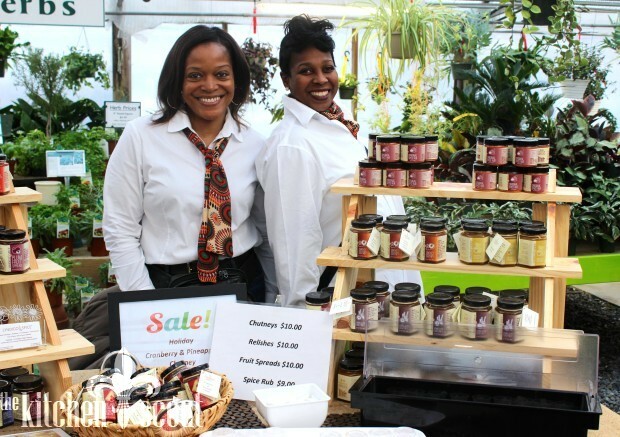 A police officer and former caterer, Celeste started Lyndigo with her Pineapple Chutney, a condiment she served with Jerk Chicken to her catering clients. They urged her to bottle it and the rest is history! 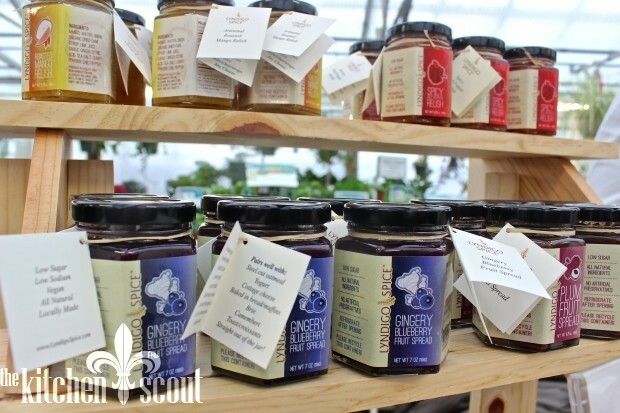 Lyndigo’s chutneys, relishes and spreads can be used as condiments or cooking sauces and have so many different flavor combinations such as fennel-fig, smoked peach & cherry, spicy red pepper, roasted mango and gingery blueberry. It was hard to pick just one but after sampling the original Pineapple Chutney, I brought home a jar and am going to find a recipe for jerk chicken to serve with it! 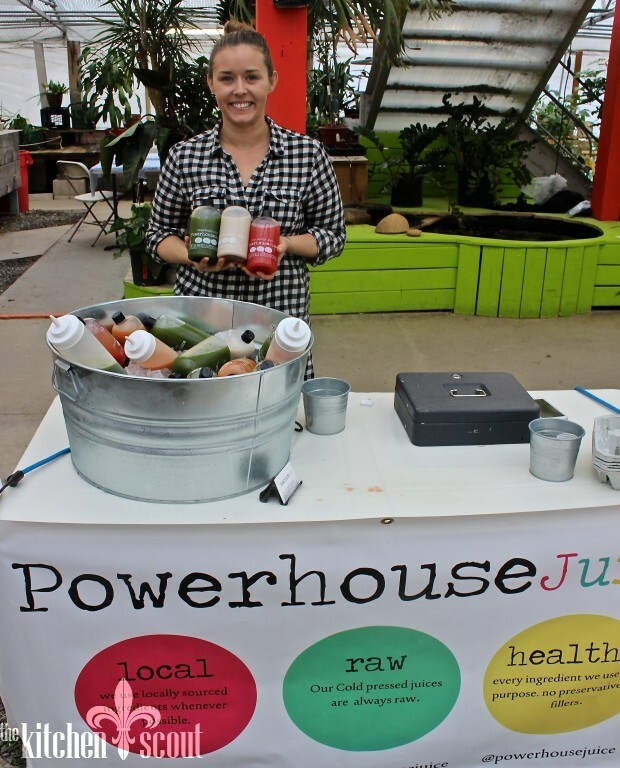 Heather and her husband started their company last June and offer several varieties of fresh pressed juices that are sugar and preservative free. We sampled all of the juices and my daughter’s favorite was “What-A-Melon”, a blend of watermelon, pineapple, strawberry and lime and she enjoyed a bottle during our morning at the market. I loved “Feel the Burn”, a mix of carrot, apple, celery, ginger and lemon, but ultimately purchased the “Sweet Green” which contained pineapple, apple, kale, spirulina, mint and lemon. 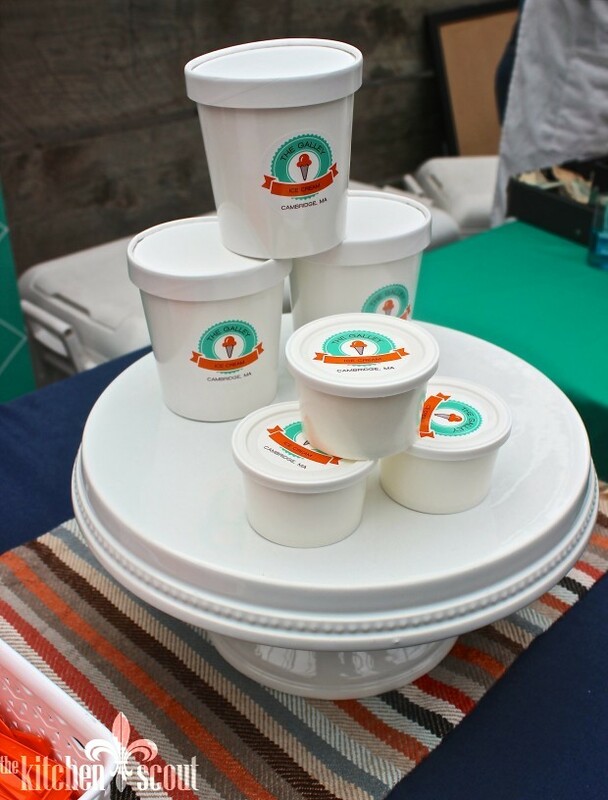 Juices and Powerhouses’s line of smoothies and milks (we tried the cashew that was yummy) can be purchased online (or at the farmers’ markets) and Powerhouse will also deliver within a 20 mile radius of its Woburn, Massachusetts manufacturing facility. We sampled quite a few of the salts including a smoked serrano and a merlot variety before settling on a jalepeno flavored salt that I used to season a warm artichoke-jalapeno dip last weekend for the big game. 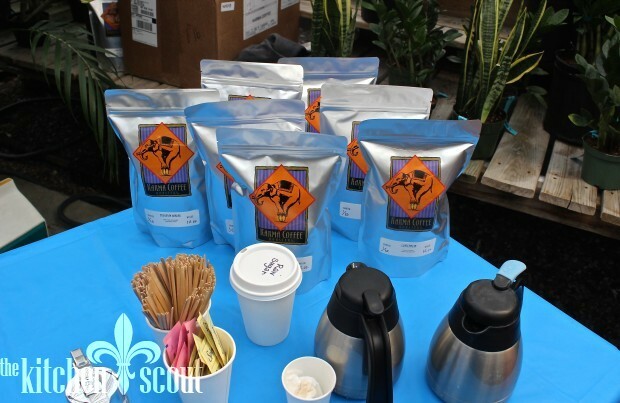 Soluna offers a broad selection of herb & spice blends, sugars, salts and tea blends. It was hard to choose just one! 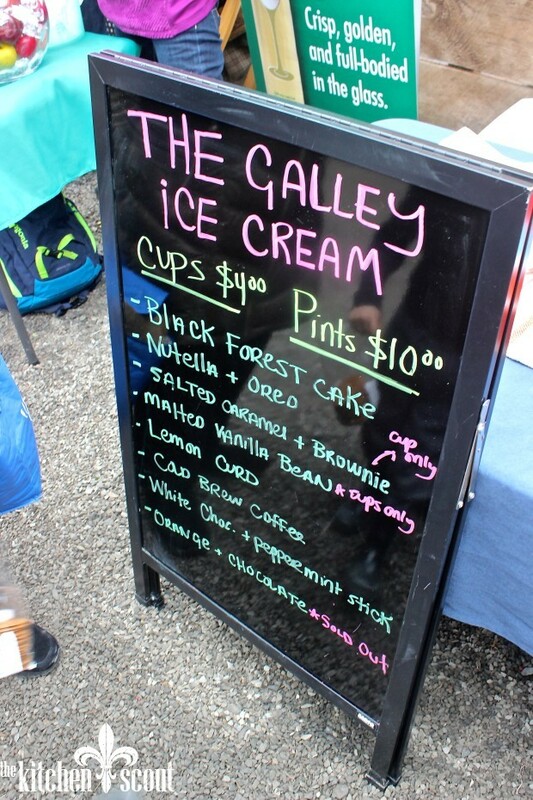 I sampled the black forest cake (chocolate ice cream, bits of dark chocolate cake and cherry jam) and cold brew coffee, both of which were fabulous. Had I been coming right home, I would have purchased some for sure. I will be back with some freezer packs, Kelly! There were so many vendors that I couldn’t speak with everyone, but OMG! bagels was there (by the time I took this picture, they had sold many of their bagels as you can see) along with Bread Obsession. On my way out, I wanted to sample Mandy’s Seafood Chowdah (delicious, gluten free and less than 20% light cream) and I got to sample and purchase her latest product, On-the-GoZpacho which she named as such because it’s packaged in a plastic bottle that is easy to take along with you to work or in the car if you are driving through meal time. It freezes well. 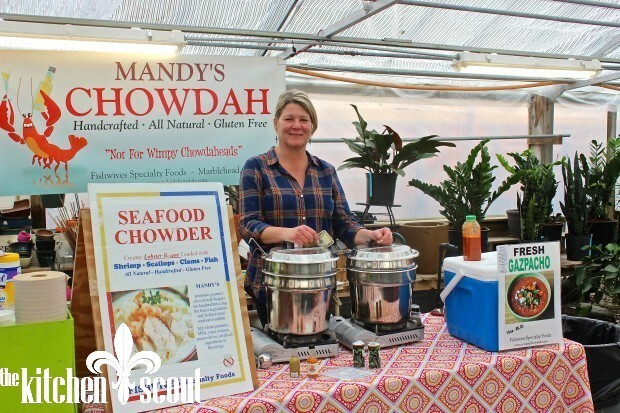 Mandy’s previous life was selling bacteria to wastewater treatment plants but she made the shift to her chowder business after a downsizing. It was her friends who suggested she turn her famous chowder into a business. It was meant for my husband but I enjoyed the gazpacho while working on this post and it was a little bit of summer on a cold day! 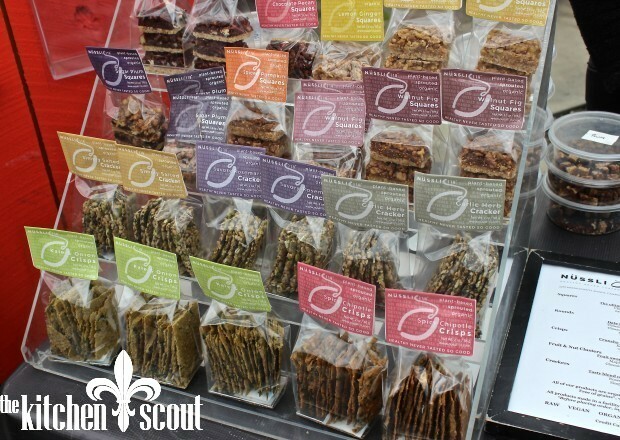 My last stop was at the booth for Just Add Cooking where I chatted for a bit with nutritionist and chef, Holly Pierce. 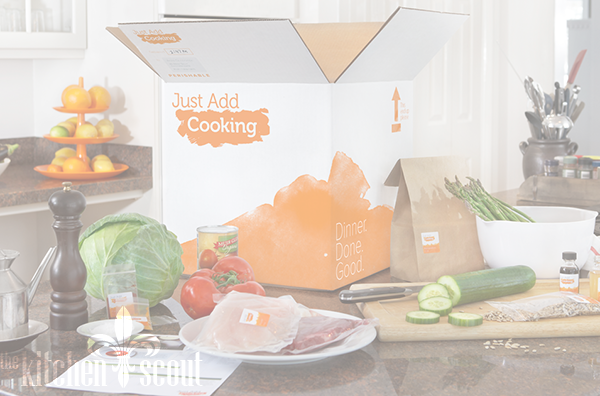 Just Add Cooking is a “fun and easy way to prepare delicious home cooked meals”. Just Add Cooking supplies you with the recipes and the ingredients for you to put together a home cooked, nutritious meal for your family from one to seven nights a week. Each week, new recipes are offered that include options for those with gluten free or vegetarian preferences. 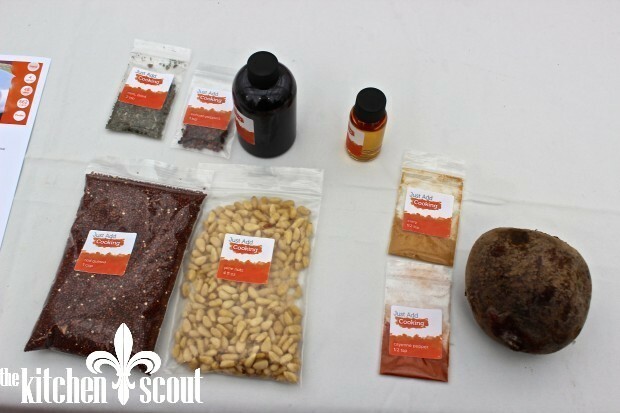 Sample recipes were for Dill Chicken, Indian Vegetable Curry, Grilled Salmon and Quinoa Tabouli among others. Right now, Just Add Cooking is delivering meals within the 495 belt. 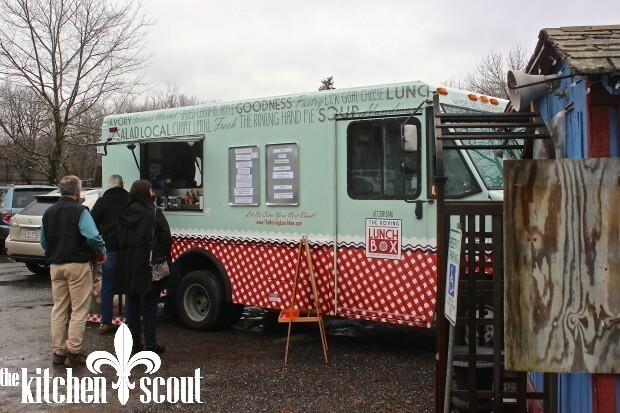 Finally, The Roving Lunchbox food truck was conveniently stationed outside in case you hadn’t done enough sampling inside and wanted a proper lunch! 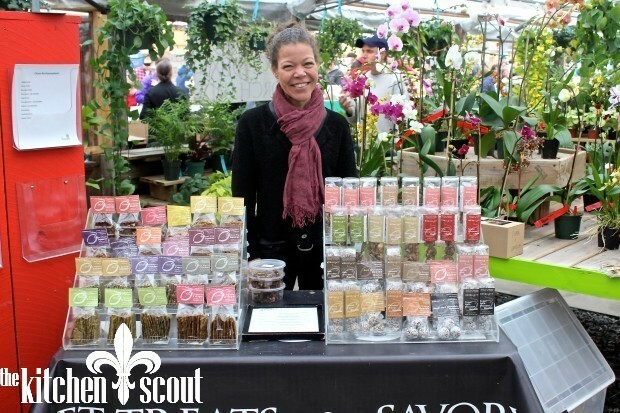 Thank you to Peg Mallett, manager of the Wayland Winter Farmers’ Market for allowing me to come in and take pictures! 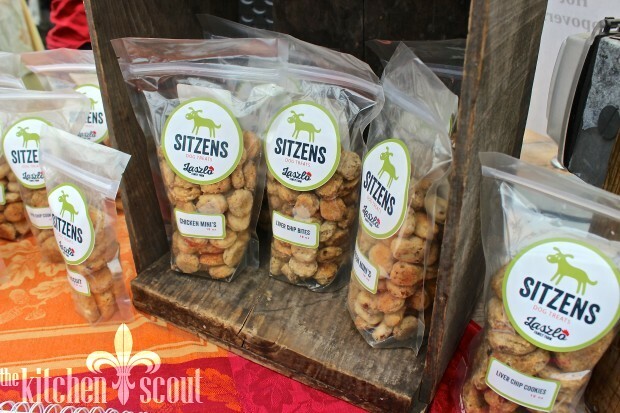 You can sign up to receive weekly emails from Peg that list the vendors who are attending the market each week. 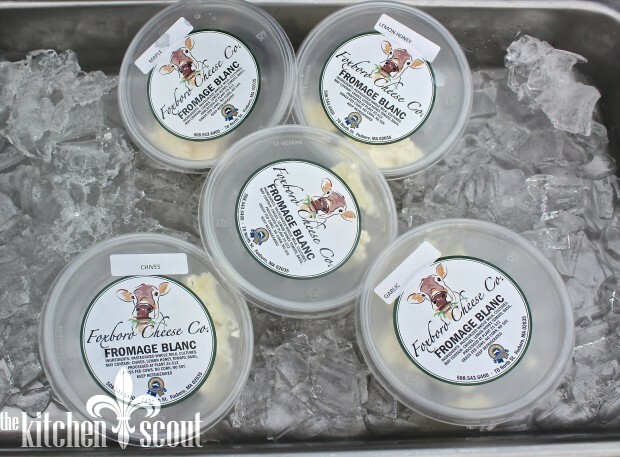 They also will alert you to their special days at the market that right now include Massachusetts wineries (Feb. 6), New England Cheeses (Feb. 20) and Farm Fiber (Jan. 23 and March 5). 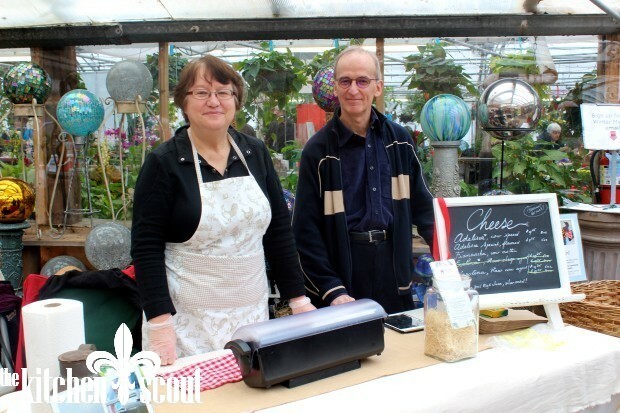 The market takes place in the greenhouse at Russell’s and there is some seating available if you want to sit and enjoy some of your purchases on site. 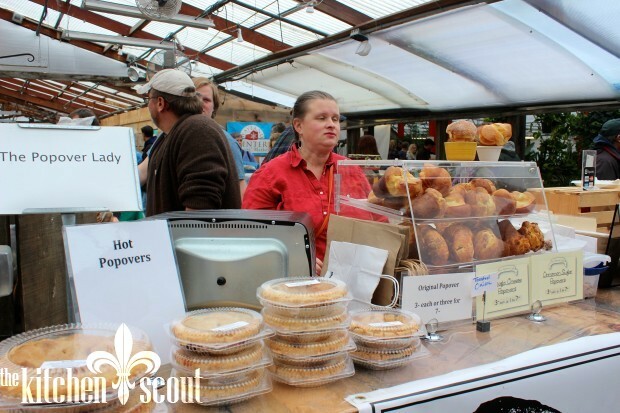 And don’t forget that Russell’s is also home to a summer market as well. Thank you to all the vendors who took the time to chat with me about their endeavors. 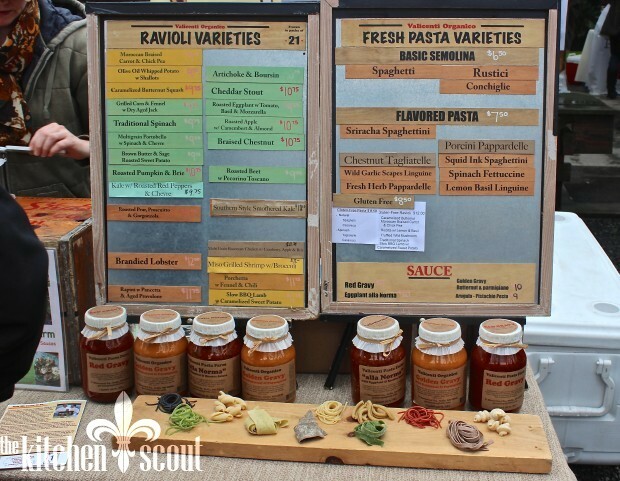 As you can see, there is so much to take in at the market that extends beyond traditional farm products. I suggest you bring some bags and wear some comfortable shoes! 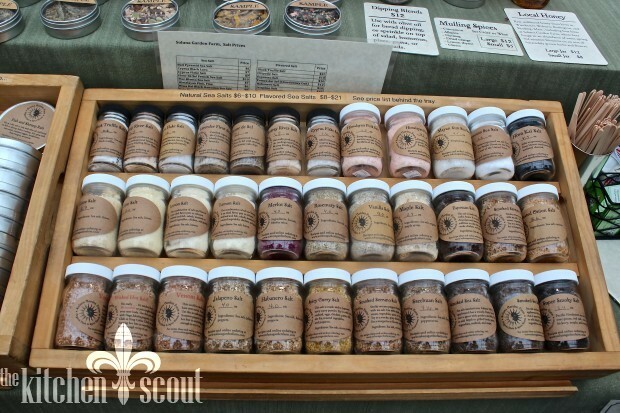 If you do not live in the area, do a search online to see what winter markets are near you. 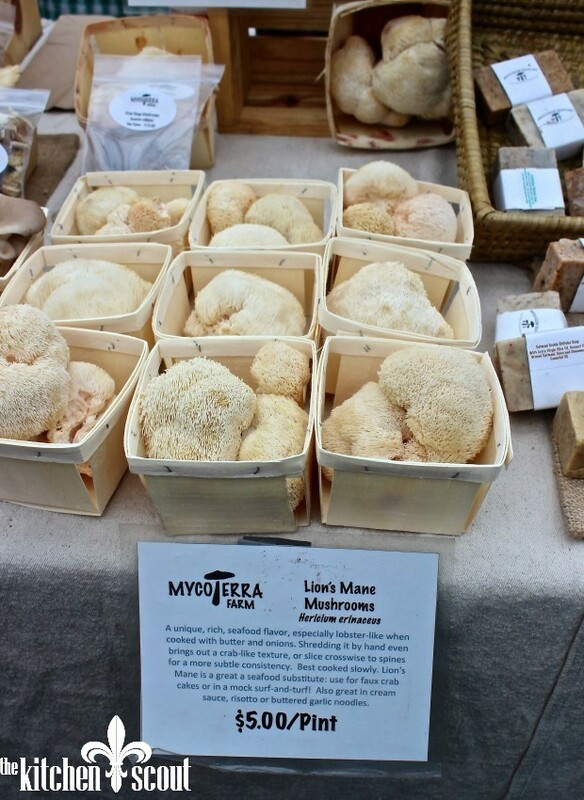 And if you are in the area, in addition to the Wayland market, there are several others that you can visit. Check this link to help you find one near you. Wow – lots of great information Val! 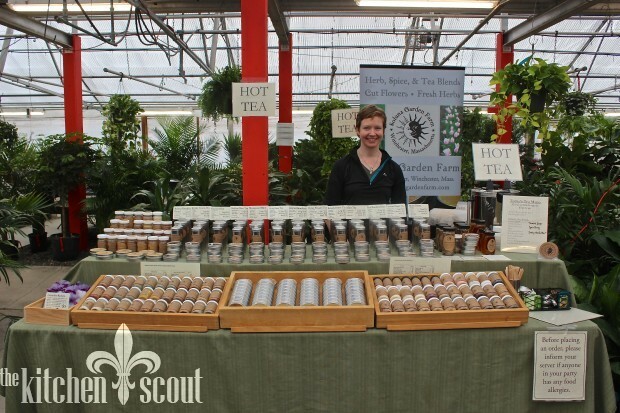 I’d love to take Emily sometime – I had no idea there was a Winter’s Farmer’s Market so close to Concord! Really great overview Val. 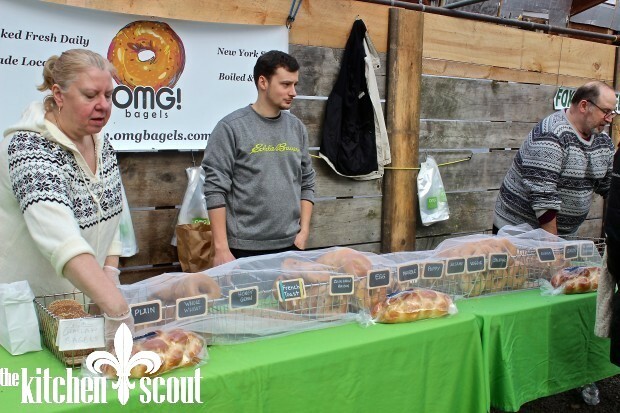 How was the customer vibe – did you feel it was well attended and people were actually buying things (besides bagels:)? Oh yes, definitely! Some of the booths were more popular than others of course, but people were shopping, talking, tasting and buying. The market is usually jammed pack so good to go early! Great pictures Val. It definitely looks like it is worth a visit. Thanks Ellen. I think you would really enjoy it.